powered up so these Bluetooth streaming speakers play brightly all summer long. ION Audio, a leader in lifestyle consumer electronics, today announced today the introduction of two new self-powered rechargeable outdoor speakers, the Solar Stone and the Keystone, both with wireless Bluetooth streaming capability. ION recognizes that the demand for wireless outdoor music solutions is growing constantly. Old-styled “outdoor speakers” that need to be wired to the inside stereo and can only be controlled for volume and program selection by constantly running into the house is not what customers want. 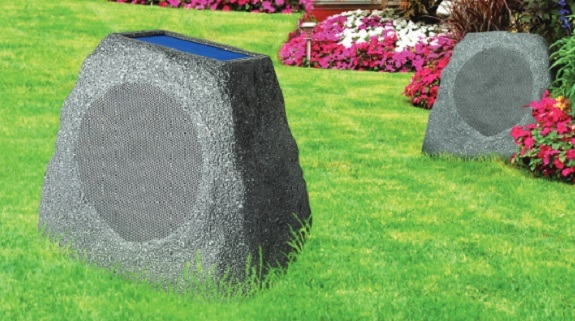 ION’s new Solar Stone and Keystone speakers solve all the traditional shortcomings of outdoor speakers—and they go even further. First of all, they’re self-powered with on-board amplification, so customers don’t need expensive, complicated hard-wiring back to an inside system. They wirelessly stream music from any Bluetooth device, so the user has complete local control over music selection and volume. They’re both IPX4 water-resistant, so they can be left out in the rain, no problem. They can both be used singly, or they link wirelessly to a second speaker, forming a true stereo pair. They will be available in the Spring of 2016.